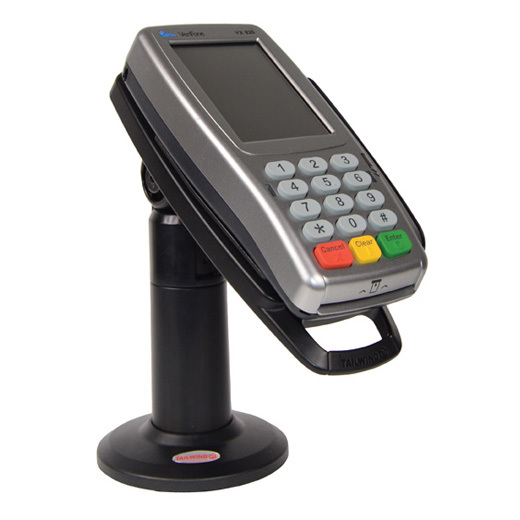 The FlexiPole FirstBase Complete stand sits at 18cm high with bespoke back plate for the Verifone VX 820c. Securely and invisibly holds the device in place. The FirstBase Complete stand allows tilt of 140° and a swivel range of 330° and is fitted with a unique latching mechanism that holds your device securely in place. 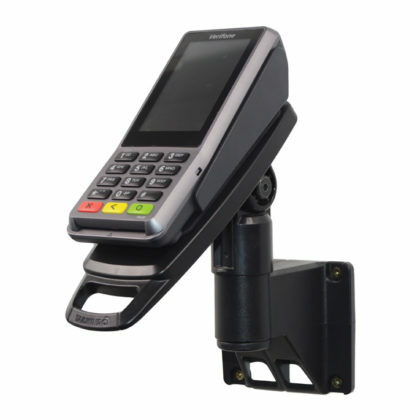 The FlexiPole FirstBase Contour is a wall mounting solution with a bespoke back plate for the Verifone MX915/925 payment devices. Securely and invisibly holds your device in place. The FirstBase Contour allows a tilt range of 140° and a swivel range of 330° (dependant on mounted surface) and is fitted with a unique latching mechanism that holds your device securely in place. 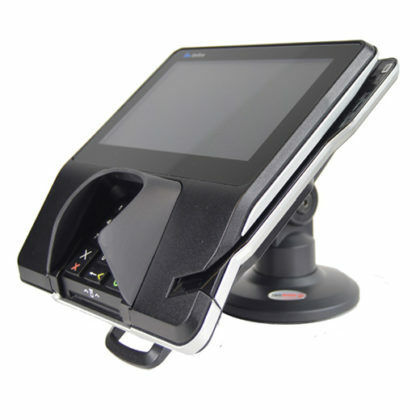 The FlexiPole FirstBase Compact stand sits at 11.7cm high with bespoke back plate for the Verifone Mx915/925 payment devices. Securely and invisibly holds the device in place. The FirstBase Compact stand allows a tilt range of 140° and is fitted with a unique latching mechanism that holds your device securely in place. 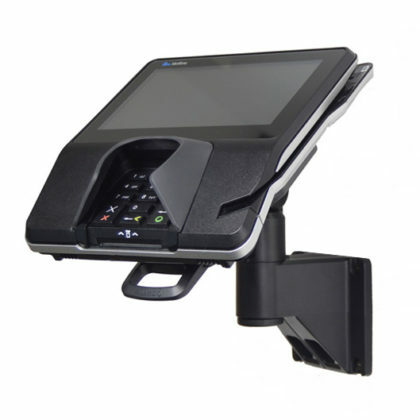 The FlexiPole FirstBase Contour is a wall mounting solution with a bespoke back plate for the Verifone P200/400 payment devices. Securely and invisibly holds your device in place. The FirstBase Contour allows a tilt range of 140° and a swivel range of 330° (dependant on mounted surface) and is fitted with a unique latching mechanism that holds your device securely in place.